With nearly 4,000 years of cultivation by humans, the apricot has emerged as a fascinating fruit with a myriad of attractive characteristics. 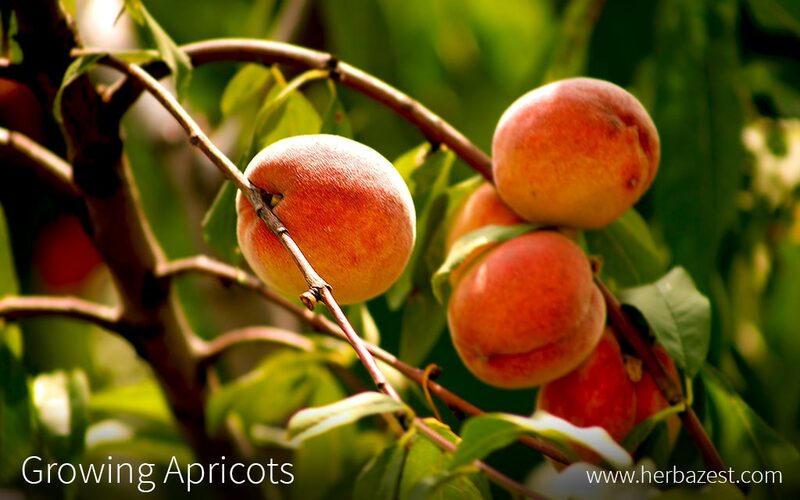 Delight in their many uses by discovering how to grow apricots below. 1 - 2 inches (2.5 - 5 cm) weekly in early stages, less water required once established. The optimal development of apricots depends on a variety of factors, such as temperature, soil quality, plant spread, and genetics. The following growing guidelines provide useful information about how to grow an apricot tree at home. Apricots thrive in deep, well-drained silt or sandy loam soil. A pH of 6.0 - 6.5 is recommended. As for the location, the trees should be planted where they will receive full sun and protection from high winds. Apricot trees should be planted in early spring, after the last frost, in May or June. It is possible to plant apricots in the fall in mild areas, but only if the trees are dormant. It is best to buy one-year-old trees that are dormant and bare-root if possible. Like many fruit trees, apricots are usually propagated vegetatively by using budding or cutting techniques. For best results, the recommended space for standard-sized trees is about 25 feet (8 m) apart; dwarf varieties should be spaced 8 - 12 feet (2 - 4 m) apart. Each plant hole should be dug wide enough to accommodate the root system without bending it. If necessary, a minimal prune can be done to the roots with shears, removing all broken and damaged parts. Once the root system is in place, the soil around it must be worked until the hole is half full. Pack the soil down and repeat once more until the hole is completely full. Thoroughly soak the soil around the tree with water to eliminate air pockets around the roots. Apricots can be grown in pots and moved indoors during the winter to protect the trees from the cold; however, they must be transferred outside during the following growing season. At that time, normal watering and spacing guidelines apply. Though apricots are capable of withstanding dry conditions, extended periods of drought will adversely affect the fruits' growth and size, especially as young trees. Conversely, over-watering the trees could also lead to disease and root rot because it prevents oxygen from reaching the roots by filling air spaces in the soil. Young stone fruit trees like apricot require about one to two inches (2.5 - 5 cm) of water a week. As the tree ages, less water is needed, but irrigation of some sort is still important. Do not wait until a tree wilts or shows signs of water shortage before irrigating it. Apricots respond well to a small amount of nitrogen fertilizer applied to them each spring. The fertilizer should be applied after the first root soaking by rain. It should not be added into the soil when planting the tree. It is important to prune apricot trees annually in order to encourage new fruiting spurs. Moreover, apricots are susceptible to overcrowding in fruit clusters. Therefore, when fruits are one inch (2.5 cm) in diameter, each cluster should be thinned out to three to four fruits, or one fruit every 6 - 10 inches (15 - 25 cm). Thinning out the plants as they grow provides various benefits. First, it prevents the remainder from under-developing and being of poor quality. It also increases the plant's ability to form flower buds the following year. Finally, thinning out fruits reduces the load set on branches, preventing breakage. As apricot trees begin to grow, weeds must be assessed in late spring to identify the ones that escaped early weeding efforts. In order to prevent and inhibit the growth of invasive weeds, mow, cultivate, hand-weed, or hoe the tree rows as appropriate. Depending on growing preferences, spraying herbicides may also be helpful. Apricot skins are easily damaged by pests and diseases, and imperfections can drastically reduce the economic value of the fruits. Learning how to protect apricot trees is an essential part of growing them. The greater peachtree borer and the peach twig borer are of moderate importance. These insects are threats to the trees' bark, seeds, and fruits. Greater peachtree borers can be prevented by spraying pesticides starting in late June and continuing every two to three weeks through September. The activity of these insects is regulated by temperature, so insecticide timing is crucial and varies yearly. Other common apricot tree pests include mites and earwigs. The most common type of apricot disease is perhaps Coryneum blight. This common fungal disease attacks buds, leaves, fruits, and twigs. The first visible lesions appear on leaves as small, round, tan spots that create round holes. On the fruit itself, circular lesions appear as reddish spots and later as corky bumps. To eliminate Coryneum blight, all affected plant tissue should be pruned and destroyed. For treating severe infections, a copper spray may be appropriate. Additionally, as a preventative measure, care must be taken not to wet the leaves of apricot trees when irrigating. Other common apricot tree diseases include gummosis and perennial canker. Besides pests and diseases, birds such as sparrows and finches find apricot fruits irresistible and pose a threat to any apricot orchard. It is common for the apricot trees to bear fruits three to five years after being planted. The fruits are usually handpicked at the end of July and through August. Harvested apricots should be yellow-orange to orange in color, and they will last up to two weeks. The skin should give lightly when pressed. One standard-sized tree should bear three to four bushels, while dwarf varieties usually bear one to two bushels of fruit. Stone fruits such as apricots are highly perishable and will last for up to two weeks after being harvested. The fruits that are picked when still slightly green will keep longer. Apricots store better if they are cooled at 32 - 40°F (0 - 4°C) as soon as possible. It is recommended to store the fruits in perforated plastic bags in order to maintain high humidity levels. Other methods of preserving apricots include canning, drying, freezing, and making jam. From planting to harvesting, every growth stage of this stone fruit tree is a learning experience. Under the right conditions, for those who take the time for upkeep and care, cultivating apricots can be rewarding.